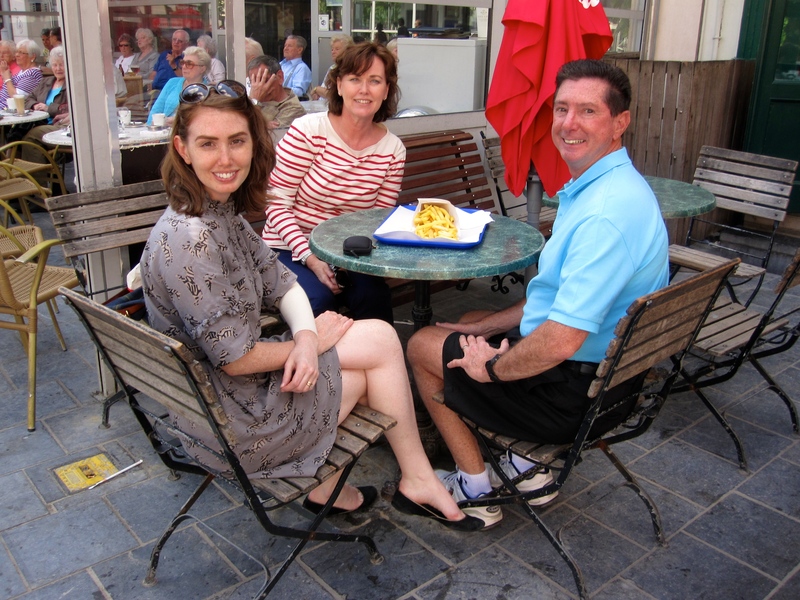 My parents have already seen a lot of the Netherlands and the Flemish part of Belgium, so this trip we ventured toward the south into Wallonia. 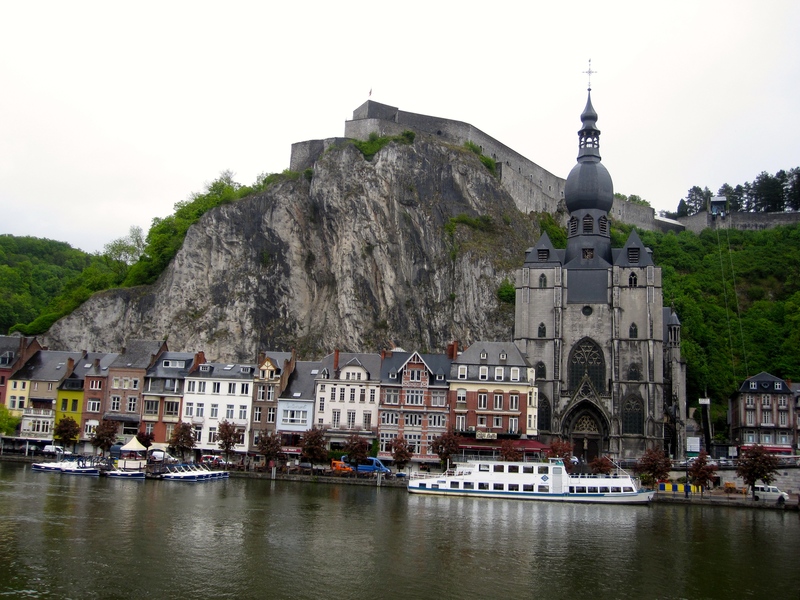 Dinant, Belgium is located at the beginning of the Ardennes on the Meuse River. 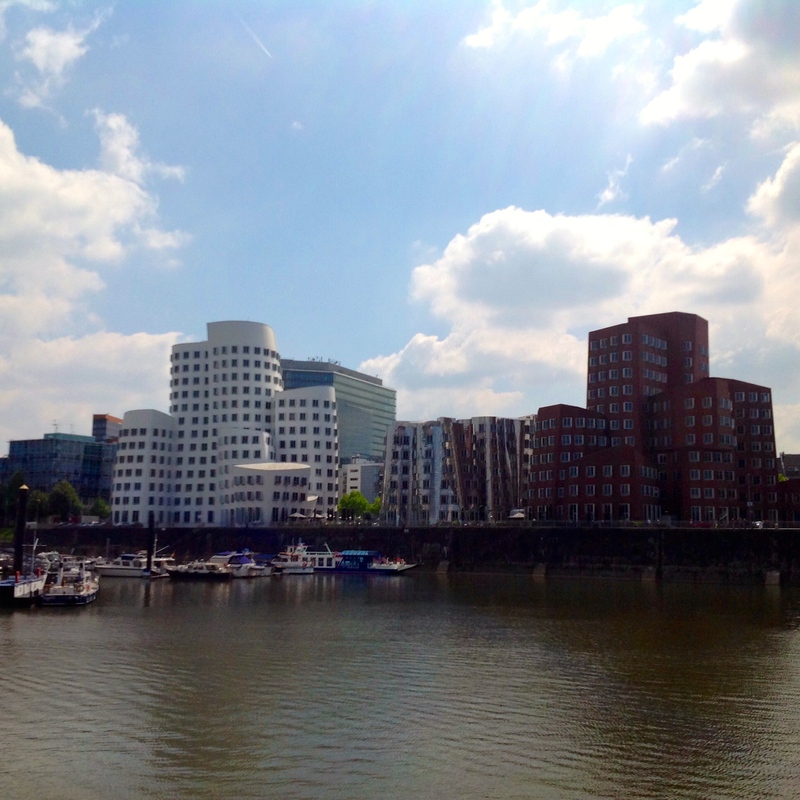 I searched for city trips within Wallonia and after seeing a photo of the beautiful cathedral, citadel, and river, I wanted to find out more information. Dinant is most famously known as being the home of Adolphe Sax, who invented the saxophone and would be 200 years old this year, and regional cuisine such as the couques de Dinant, Europe’s hardest cookie, and the flamiche, a type of quiche served with a glass of Burgundy, as well as Leffe beer. So we decided to check it out! My parents happened to be in town for Sofie’s birthday. 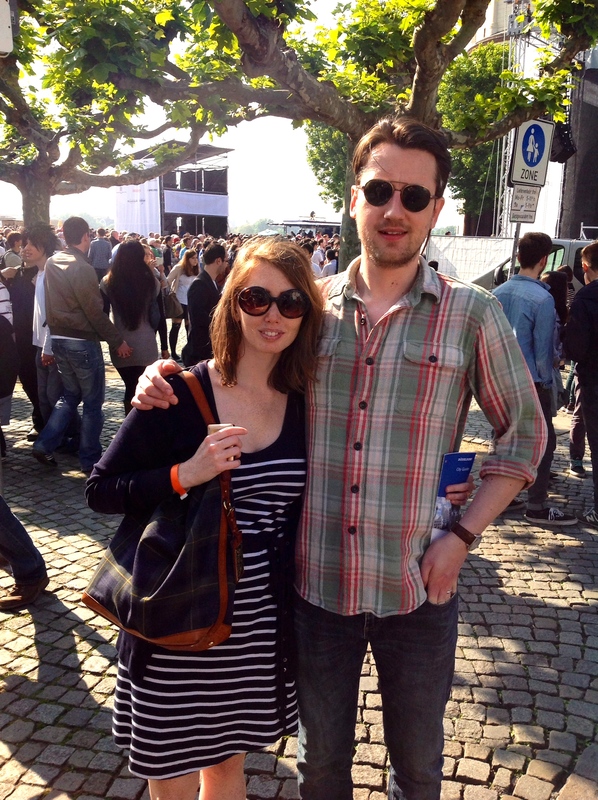 Also in the Netherlands was Koen’s cousin Andrea and her boyfriend Ethan from Canada – so my parents didn’t have to worry about people speaking English. I always love getting together for family birthdays because it gives me the chance to catch up and see everyone! 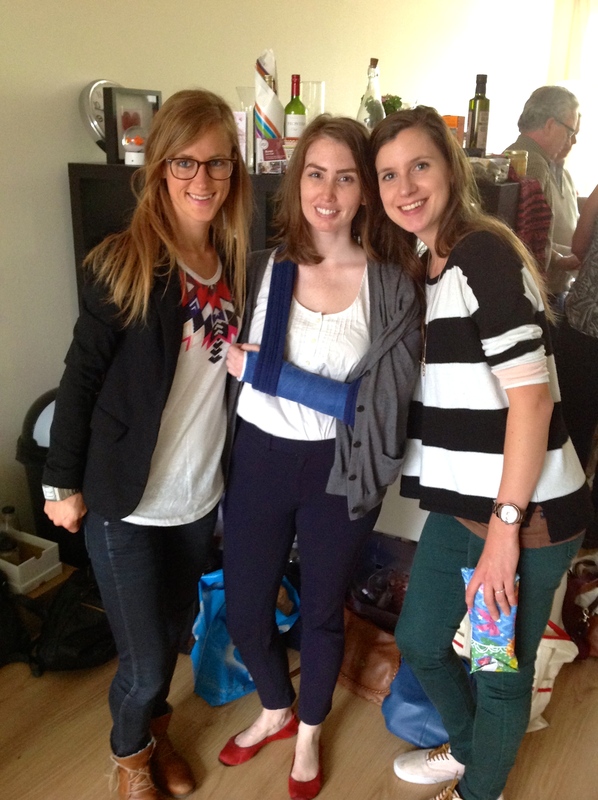 We celebrated at Sofie’s apartment in Breda and enjoyed delicious cakes and frietjes! Sometimes when I’m looking for inspiration for dinner, I first have a look to see what I have at home. When I searched my kitchen I found cannelloni tubes. 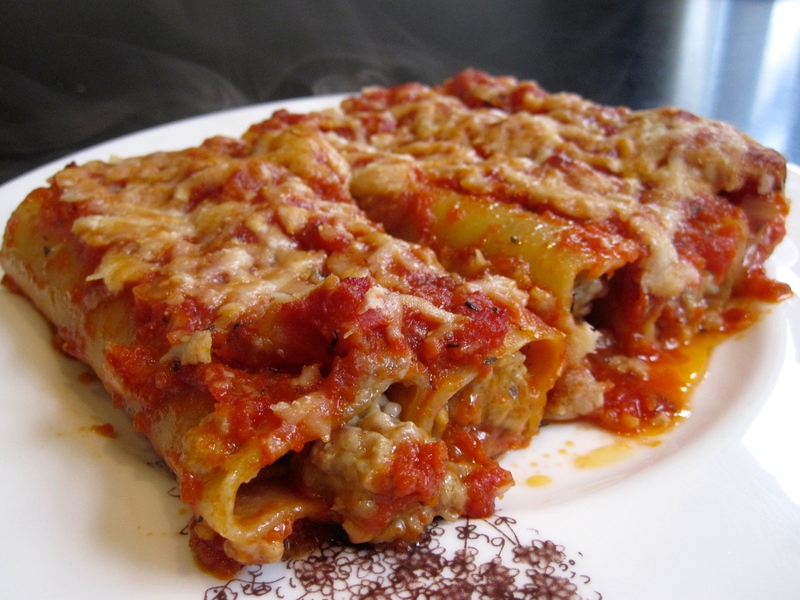 I have tried different recipes, but Mario Batali’s Cannelloni al Forno (Casalinga Style) is my favorite. Casalinga is Italian for “housewife”, so you know that this is a comfort food recipe. The only change I make is not adding the bechamel sauce on top. I don’t love dishes that are too creamy or too cheesy (which is weird because I love cheese), so I just grate parmesan on top of the tomato sauce before baking. This recipe was again a success and made enough dinner for 2 evenings! Tomate aux crevettes is one of my favorite Belgian dishes! It is not difficult to make and the simplicity of the flavors is what makes it so great. 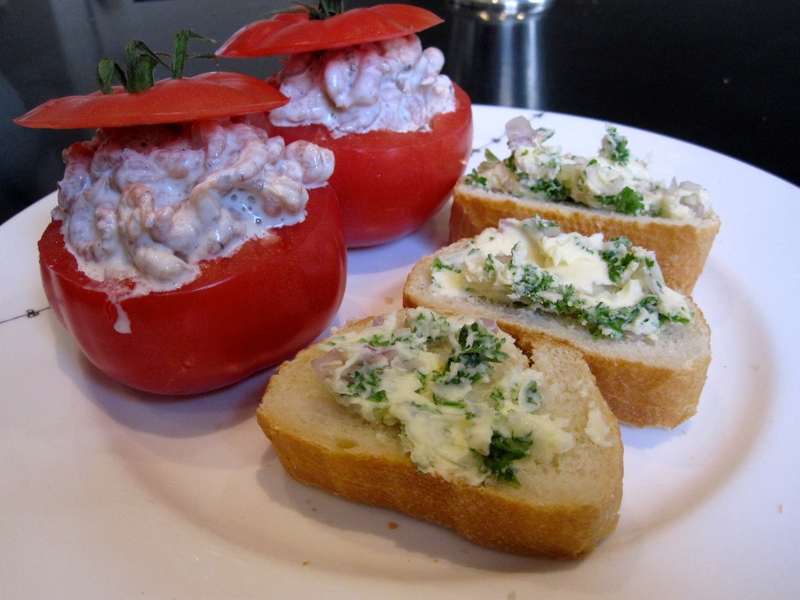 Hollowed tomatoes are filled with a mixture of North Sea shrimp, mayonnaise, Worstershire sauce, lemon juice, and tabasco – or at least that’s how Koen and I make it. You can use store bought mayonnaise, but for last night’s dinner, Koen made it fresh from scratch and you can taste the difference! Traditionally tomate aux crevettes is paired with french fries, but we were in the mood for bread. To top the bread, I made a garlic butter made of butter, garlic, shallots, and parsley. Perfect combo!